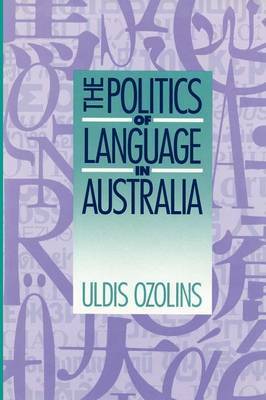 This 1993 book traces language policy in Australia from World War II to the present, examining the changes in government policy over this time, and changes in major public institutions due to the presence of these languages. The major focus is on changes in the education and broadcasting systems, with attention also to interpreting/translating, industrial relations and the role of languages in diplomacy and trade. Dr Ozolins places language in the context of multicultural politics and shows that government language policies that were once prompted by suspicion now accept and even encourage cultural and linguistic maintenance. In fact Australia has introduced many innovations of international significance in language policy, particularly with the National Language Policy, announced in 1987. This policy marked a decisive change in political assumptions towards languages in post-war Australia as it recognised the importance of languages other than English.